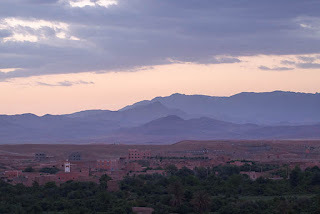 Somewhere between the High Atlas mountains and the Dades valley of Morocco lies El-Kelaa M'gouna. Every year in spring, waves of tourists and locals will converge here for the Festival of Roses. Also known as Vallee des Roses, or the Valley of Roses, the area is known for its production of rosewater. 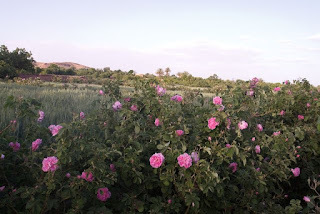 The pink Persian rose, also known as the Damascus Rose, will be harvested during this period when the valley floor is filled with them. However, these roses are relatively small in their hedges, so they may not be easily noticed initially, esp when you are on the main road. If you expect to see "fields of pink", you may be disappointed like me. 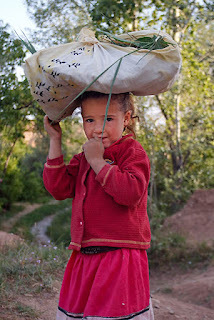 But they are big in their importance as they provide the main income to the people of the area. The Festival is supposedly held over 3 days over in the 1st weekend of May, but it really is not fixed. A parade will be held on Sat in the town, where it will pass through the main road. Floats and performances will be the main entertainment. 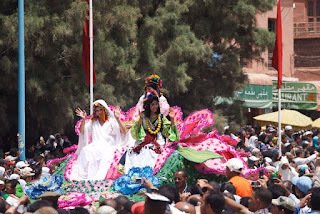 The winners of the Miss Rose pageant, selected the day before, will be one of the highlights of the parade, together with a "Queen" of some sort. 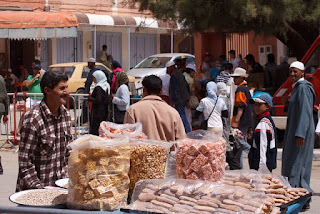 After the parade, the whole town essentially becomes a giant carnival and souk, and the whole local community enjoying what it seems like a rare holiday opportunity. Most details of transportation and accommodation are highlighted in the various guidebooks. 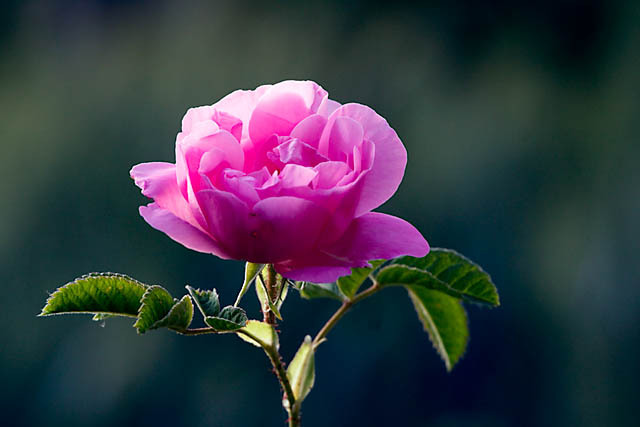 If you are in the area during May, check out the Festival of Roses. The Damascus Rose is indeed sweet smelling!